There's a simple pleasure that comes with makeup crayons, whether they are for a flawless complexion or simple eye look. TreStiQue has perfected this idea with the addition of application tools, part of the treSwitch line, at the opposite end of each product. This makes them ideal for a rushed morning, a weekend away or a simple touch-up during the day. Whether you are looking for a long-wearing shadow crayon or a perfecting concealer, treStiQue has a product to suit every need. Today we will get Fabulous in a Flash with their Face Essentials! 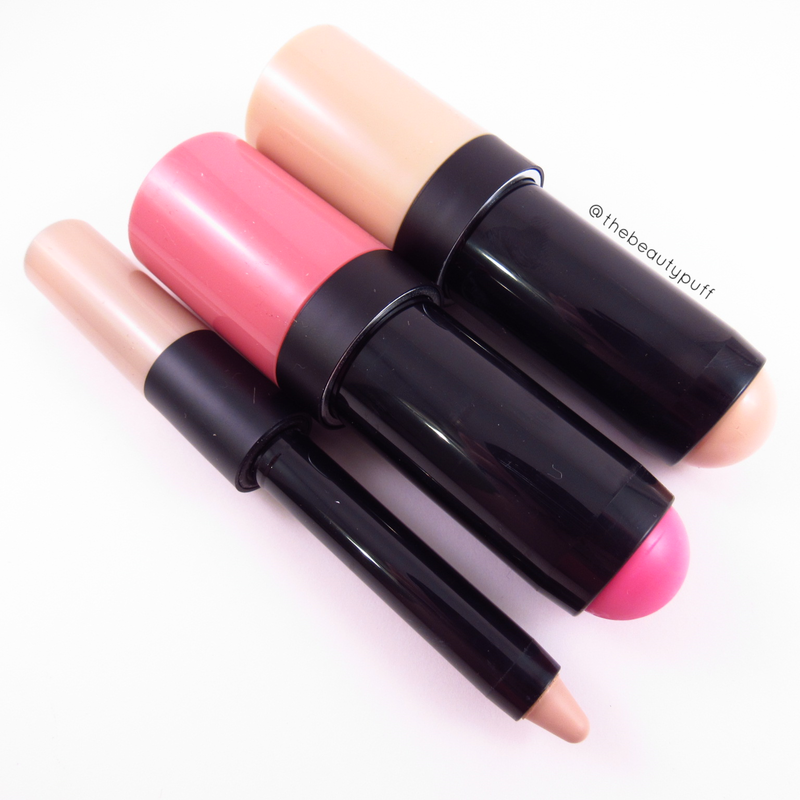 The Face Essentials kit comes with three products to achieve a beautiful, natural complexion - a Tinted Face Stick, Concealer Crayon and Blush Stick. There are six sets to accommodate different skin tones. I have the lightest set, Light 1. The closures on all products are magnetic so they are perfectly secure for on-the-go in your purse. They're also incredibly entertaining. Product side: Easy, twist-up style for on-the go application. treSwitch tool side: These dual ended crayons have versatile tools for even easier application. Tinted Face Stick - After moisturizing, I simply draw this face stick on my forehead, cheeks, chin and down my nose. I like to draw a "cat whisker" type shape on larger areas. The convenient face blender at the opposite end evenly blends the product. It isn't very absorbent so you don't have to worry about any wasted product or uneven application. A light touch is all you need with this applicator. It does the work for you. For additional blending in smaller areas, you can also use your fingers. The result is a smooth, natural finish on the skin. Coverage is light but can be built up depending on your taste. I would suggest making sure your face is thoroughly moisturized, as dry areas will be emphasized otherwise. Overall, it feels incredibly light on the skin - the ultimate product for a fresh, natural complexion. Most importantly, it is a breeze to achieve! 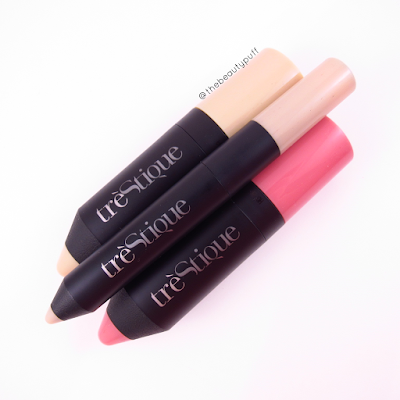 Concealer Crayon - This concealer is incredibly smooth, creamy and easy to blend. What makes these products so smooth? They are infused with coconut oil, for one thing. This nourishing ingredient helps provide a natural, silky finish. The concealer glides over skin effortlessly and easily blends with the convenient treSwitch concealer blender. The blender is the perfect size for small areas like blemishes and around the nose. For larger areas, such as brightening under the eyes, I use the side of the applicator with a very light sweeping motion. If you are concerned with the cleanliness and longevity of these treSwitch tools, not to worry! When any of your treSwitch tools become worn or you'd like to replace them, they can be purchased separately. 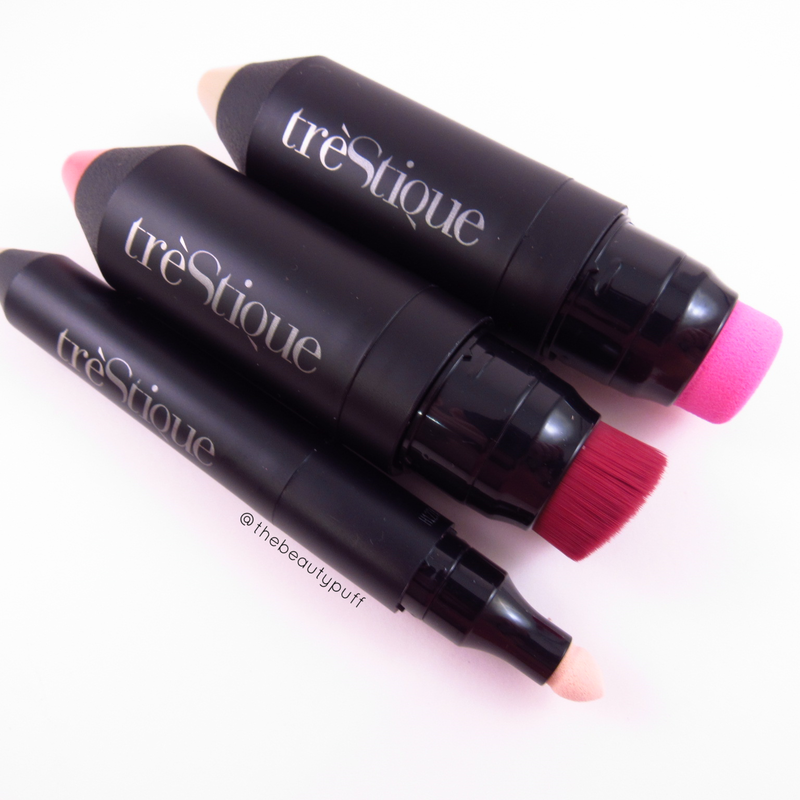 Blush Stick - For beautifully flushed cheeks, treStiQue's blush sticks come in two colors - St. Barth's Pink, which comes with the three lighter skin tone sets and Bora Bora Coral, which comes with the three deeper skin tone sets. 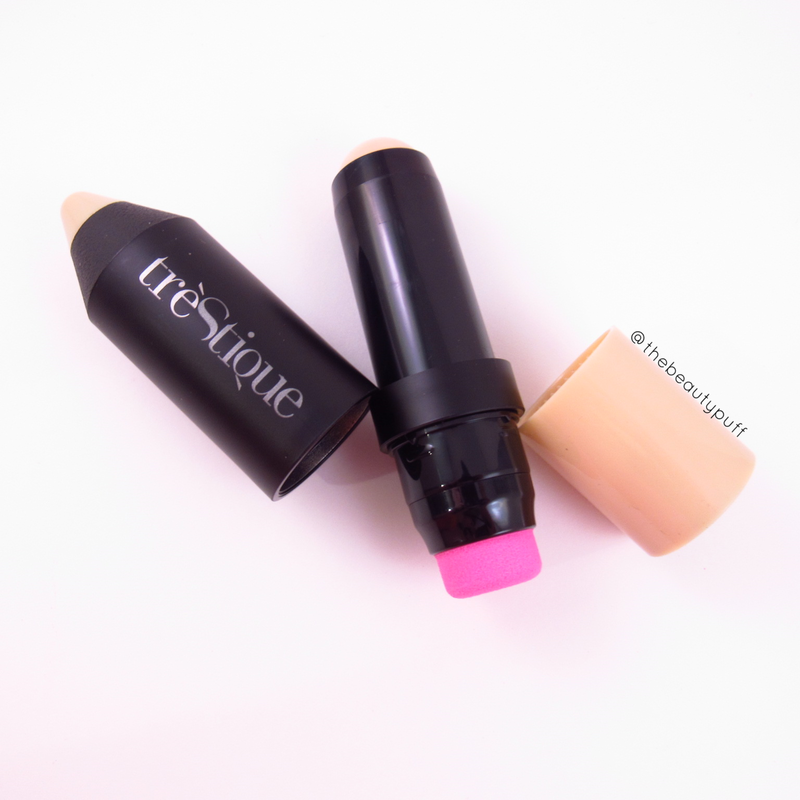 The formula is incredibly light and sets to a natural finish on the skin with no tackiness. You can simply draw this blush on the desired area and blend with the attached Contour Brush for a diffused look. I would suggest applying a smaller amount at first, as a little goes a long way with this blush! I think the Contour Brush is my favorite of the treSwitch tools. This dense brush can be used with multiple products to achieve a blended look. It is big enough for larger areas, but dense enough for targeted application. It is also easily cleaned with a brush spray cleaner. Not only are these products convenient to use, but they are free of synthetic fragrances, D5, petrochemicals, talc and parabens. They are also cruelty-free! 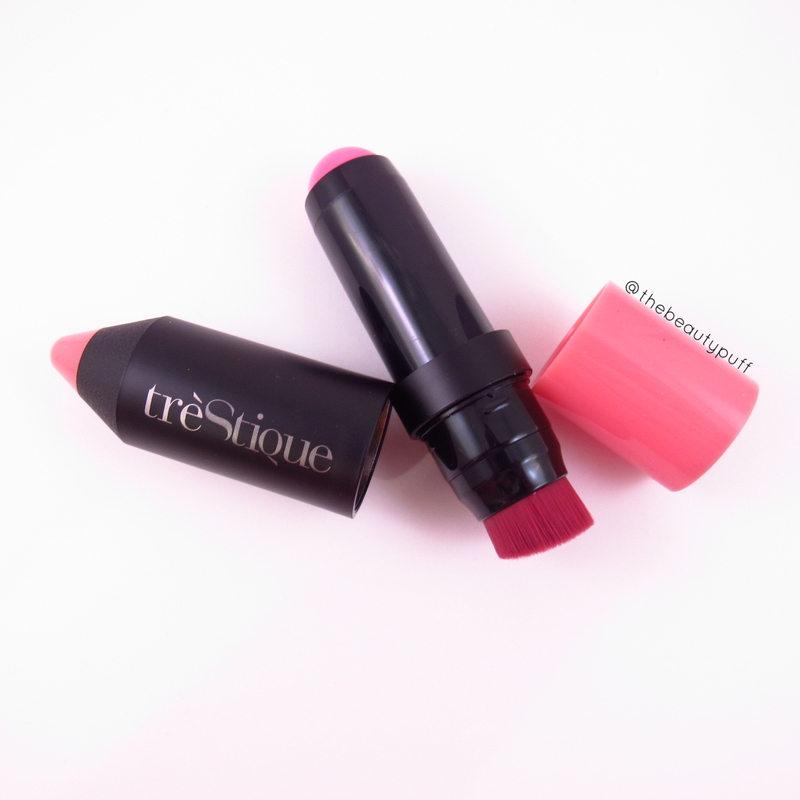 I love the beautiful, natural look I can easily achieve with treStiQue products. I gravitate toward user friendly, versatile products as my "getting ready" time can be slim to none on many mornings. 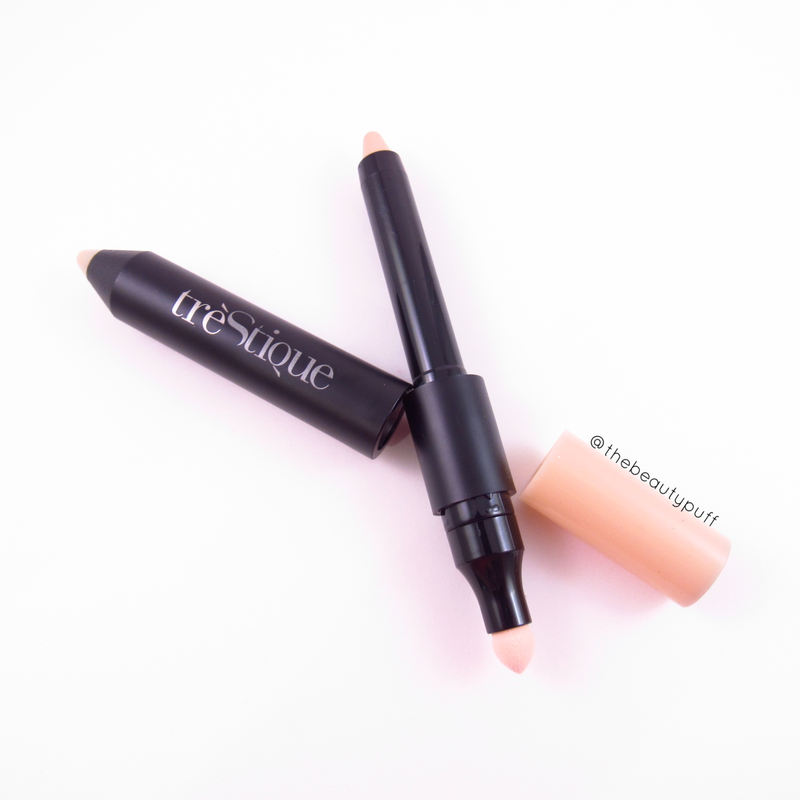 As a mom, I want to feel confident going about my day, without having to spend an hour getting ready and I know I can achieve that with treStiQue products. You will love these versatile, beautiful crayons. It will be love at first twist!